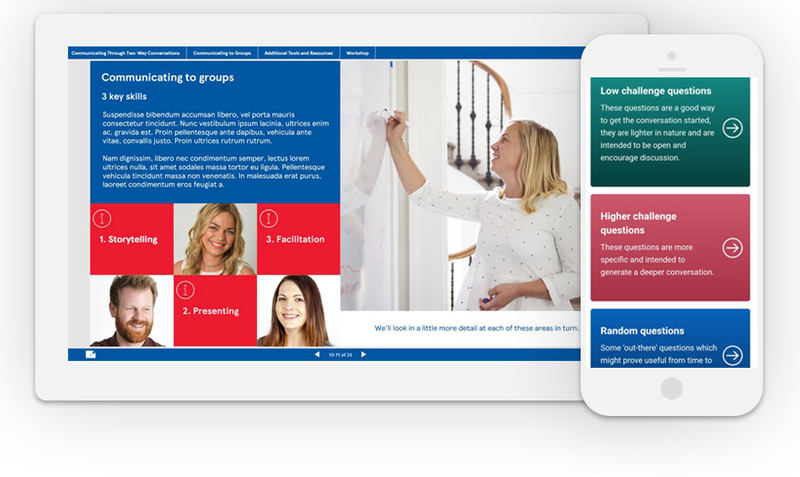 A major retail bank invited Multiply to visualise and develop a modern, innovative learning model for managers that would make full use of existing resources held throughout the organisation. In many instances the existing material was comprehensive and effective, but it was difficult to locate at the point of need and learners weren’t always aware of its relevance. A lot of tutorial style learning was also being delivered via traditional face to face workshops, which replicated much of the available digital material. As a result, there was a desire to move towards a more modern approach with the bulk of the learning easily accessible online, as and when required. The challenge then was multi-faceted. We were to review the variety of content already in existence and deliver a modern learning intervention that would collate, streamline and improve the learning, while also providing a context for new or inexperienced managers (i.e. a recommended pathway through the content). Our solution involved us working closely with our client across three key stages of development. Working with our client, we held a series of content definition sessions to analyse the existing material and streamline the relevant content. Some materials were retained, while others were rewritten and redesigned to deliver a more engaging learning experience. 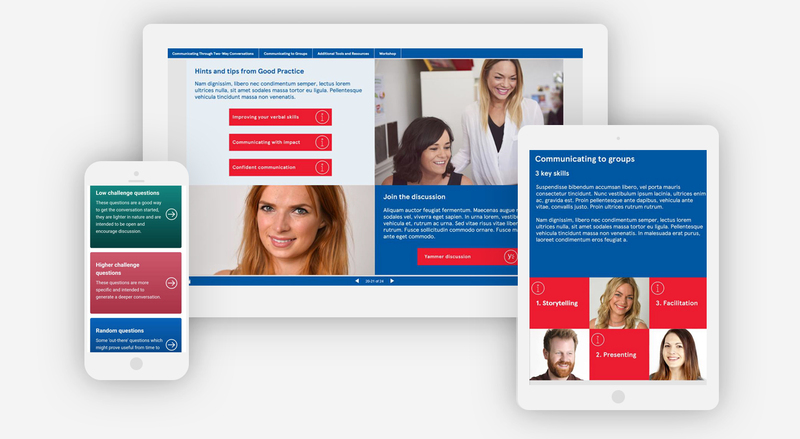 We also created some new content, including an interactive eLearning module, a self-assessment quiz, interactive coaching cards that users could download to their own phone, audio files with subtitles, and a series of visually rich in-depth PDFs. The result was a creative blend of learning materials that provided variety, flexibility and, above all, shorter, sharper solutions. So how to bring all the content together to create a cohesive guided journey? For each subject, we created an interactive magazine, using the easy to use Page Tiger software already in use elsewhere within the bank. The magazine was the glue that held all the learning together, helping users to review relevant content elements in a logical manner. 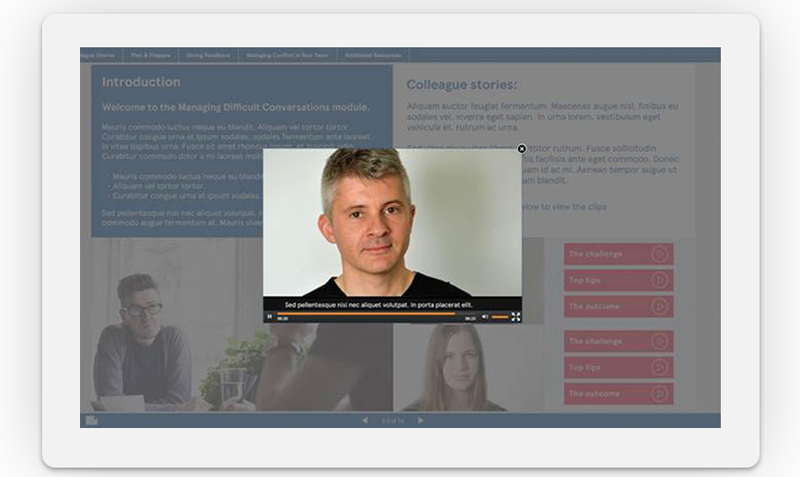 We also used elements of the Page Tiger platform to enhance the learning experience by embedding video clips, podcasts, quizzes, webinars and links to group discussions. 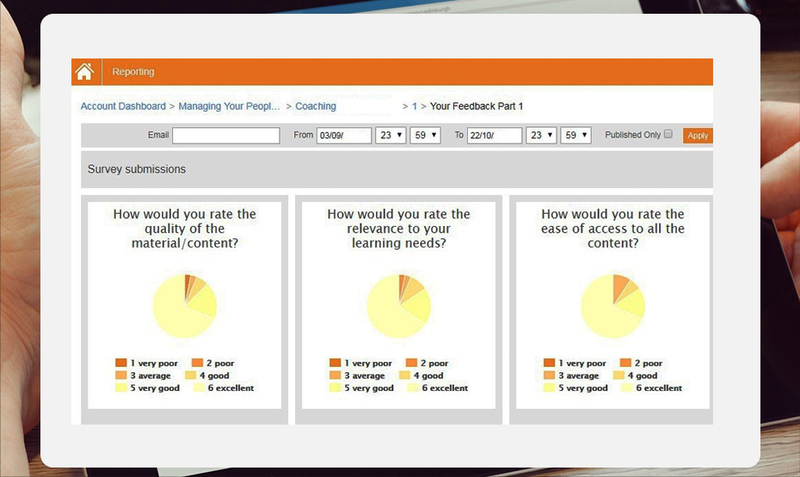 All the content provided tracking and MI within Page Tiger for the bank to review, including polls at the end of each issue to gather meaningful feedback from learners on the learning approach. All elements were also made available as stand-alone learning solutions, putting the learner in control and making knowledge accessible at the point of need. The end result was a modern, flexible templated learning solution that was not only affordable, scalable and made full use of the existing material and technical infrastructure, but was also a perfect fit for our client’s work culture. At the end of the initial rollout period, feedback polls showed that over 65% of users rated the quality of the material/content as very good or excellent, while over 92% of users rated as either good, very good or excellent. Email us or call 0131 718 0550 to speak to the learning team.